NPQ has been following “ban the box” initiatives as more and more states adopt measures to restrict the ability of private employers to discriminate against ex-felons due to their criminal records. Last month, Philadelphia’s update made its initiative into one of the most restrictive versions of the policy in the country. The policy is due to go into effect in a matter of months, but many are worried about the impact it will have on local private businesses and employers. The original policy went into effect back in 2012 and was limited in application to private employers with at least ten employees. Employers were barred from considering or asking about any arrest that did not result in a conviction. They were also prohibited from asking prospective employees about any criminal convictions at any time during the initial interview and application process. After the first interview, an employer could ask about a prospective employee’s criminal history but not his or her arrest history. The updated policy contains two major changes. The measure now extends to all private employers in the city with at least one employee, drastically changing the scope of the policy. Moreover, instead of allowing an employer to question an applicant after the first interview, the new policy requires an employer to make a conditional offer of employment before asking about the prospective employee’s criminal history. Furthermore, even at the point when the employer is able to consider an applicant’s criminal history, the employer can only consider convictions in the past seven years and crimes that have some kind of relationship to the work for which the applicant is applying. The process to officially disqualify a candidate based on a conviction after an offer has been made is also fairly involved. If the employer does find cause to retract the offer, the employer must consider several factors to justify the “risk” of hiring said applicant, as described by the National Law Review. The employer must give notice and inform the applicant in writing if the offer is going to be retracted. 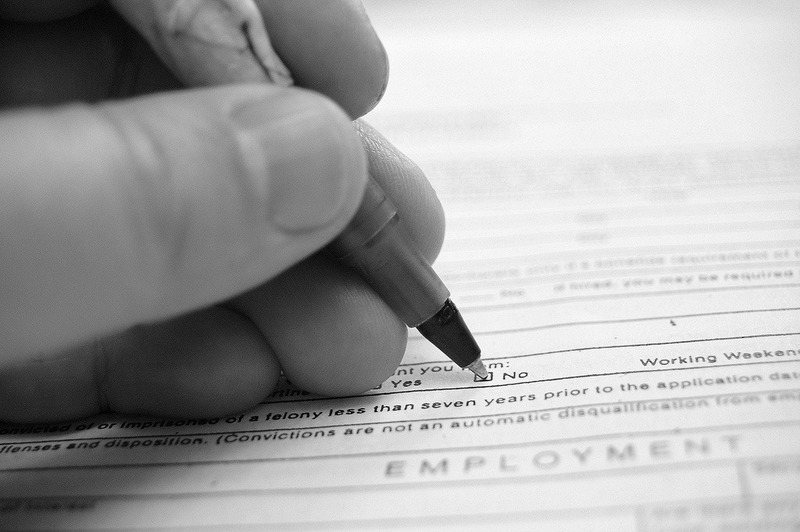 The employer must provide the applicant with the background check that led to the disqualification of the offer. After that, the applicant has ten days in which to contest and provide proof of whether the employer wrongfully violated the policy. The updated policy undoubtedly has good intentions. By restricting an employer’s ability to ask about an applicant’s criminal history until after having made an offer, the hope is that ex-convicts have a better chance of being assessed for the merits of their abilities rather than the hindrances of their pasts. Still, the response to the update since last month has been largely negative. This criticism most likely is directed at the lost manpower and time of employers who go through the entire interview and offer process, which for some jobs can be fairly extensive, only to learn through a background check that the applicant is genuinely inappropriate for the job. Jonathan A. Segal for the Philadelphia Business Journal also talks about the increased legal risk for employers under this new law. In the case where an employer is arguably justified in disqualifying an applicant, such as an applicant with a history of sexual violence applying for a job at a private school, the new policy gives the applicant leeway to possibly bring the case to court, which is expensive for both the justice system and the prospective employer. One of the most entrenched restrictions on voting rights is limits on citizens who are imprisoned or who have prison records. It’s no coincidence that this serves to limit voting rights among black people at the same time. Fortunately, work is being done to roll back these restrictions, including in Florida.